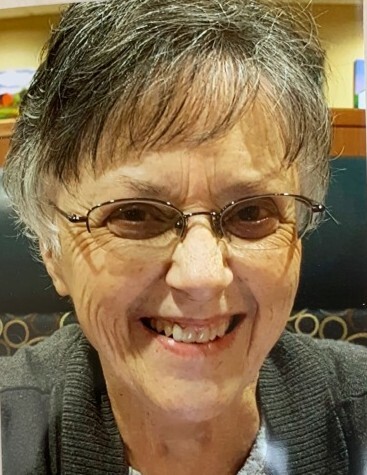 Jeannie Dickens, 70, of Clarksville, IN passed away Wednesday, October 31, 2018 at Audubon Hospital, Louisville, KY.
Mrs Dickens was a member of Immanuel Baptist Church, Tulsa, OK.
She was preceded in death by her husband, Oakley “Shorty” Dickens; her parents, Estill & Anita Chism; two sisters, Shirley Black, Beulah “Booty” Redden. Five children, Steven Bradford of Clarksville, IN, Kristie Ridings & her husband, Ryan of Louisville, KY, Marla Wilson of New Albany, IN, Susan Curtis of Fort Gibson, OK, Tina Dickens of Oklahoma; five grandchildren, Raylan Ridings, Trystin Wilson, Hetherle Cantrell & her husband, Todd, Amanda Mendenhall & her husband, Scott, Ashely Curtis; four sisters, Trish Saltsman & her husband, Danny of Louisville, KY, Mary Lou Hunter & her husband, Jackie of Paoli, IN, Dotty House & her husband, Jerry of Dunnellon, FL, Rose Edrington & her husband, Larry of Louisville, KY; special caregivers, Katrina Bogard, Dorothy Matney, Mary Ruth Cox; several great grandchildren of Oklahoma; and a host of nieces, nephews, family & friends. Visitation will be from 1:00 PM until 8:00 PM Saturday and from 9:00 AM until 3:00 PM Sunday at Chism Family Funeral Home, Vine Grove, KY.
Funeral services for Mrs. Dickens will be held at 3:00 PM, Sunday, November 4, 2018 at the chapel of Chism Family Funeral Home, Vine Grove, KY Pastor Kim Allen officiating. Burial will follow in the Cap Anderson Cemetery, Brandenburg, KY.